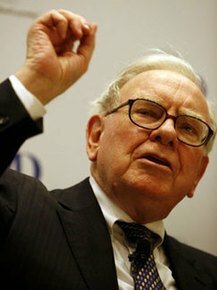 A combination photo of Carlos Slim, Bill Gates and Warren Buffett. Mexican tycoon Carlos Slim is the world's richest person, Forbes magazine said on Wednesday. 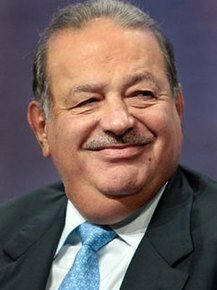 Mexican tycoon Carlos Slim is the world's richest person, knocking Microsoft founder Bill Gates into second spot, as the wealth of the world's billionaires grew by 50 percent over the last year, Forbes magazine said on Wednesday. 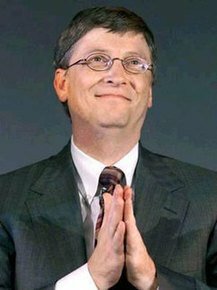 It is only the second time since 1995 that Gates has lost the crown, the magazine said, estimating Slim's net worth at $53.5 billion, compared to Gates's $53 billion fortune, while investor Warren Buffett came in at No. 3 with $47 billion. The trioregained $41.5 billion of the $68 billion they had lost the previous year, Forbes said. The number of billionaires around the world has nearly recovered in 2010 after dropping by a third last year during the global financial crisis. There are now 1,011 billionaires, compared with 793 last year and 1,125 in 2008. The net wealth of those billionaires grew to $3.6 trillion from $2.4 trillion last year, but is still down from 2008's $4.4 trillion, according to the 24th annual Forbes list, which took a snapshot of wealth on February 12 to compile its ranking. The average billionaire is now worth $3.5 billion, up $500 million from last year. And the number of women on the list rose to 89 from 72 last year. "The global economy is recovering and it's reflected in what you see in the list this year," Steve Forbes, chief executive of Forbes, told a news conference. "Financial markets have also made an even more impressive comeback from the lows of just about a year ago, particularly in emerging markets." "Asia is leading the comeback," Forbes said. The number of billionaires in the Asia-Pacific region grew by 80 percent to 234 and their net worth almost doubled to $729 billion, which the Forbes ranking attributed to the area's "swelling stock markets and several large public offeringsduring the past year." Two Indians round out the top five richest people in the world -- Mukesh Ambani, with a petrochemicals, oil and gas fortune of $29 billion, and steel magnateLakshmi Mittal, who is valued at $28.7 billion. Of the 97 billionaires making their debut on the Forbes list, 62 are from Asia, while for the first time China is now home to the most billionaires outside of the United States. "The United States still dominates, but the United States is lagging," Forbes said. "It is not doing as well as the rest of the world in coming back."